“There is no indication that the Mi’kmaq used gold, but they likely knew it existed in Nova Scotia. Mi’kmaq guides accompanied both Captain L’Estrange and John Gerrish Pulsifer during the expeditions that led to their documented discoveries of gold.” — Art Gallery of Nova Scotia (source). This project begins with an investigation of relationships between specific regional communities and the damaged landscapes of gold mine tailing sites in and around Halifax/ K’jipuktuk, Nova Scotia. It is an intersectional examination, that first acknowledges Mi’kmaq unceded territory and integrated lived experiences of land stewardship, and looks to also learn from the academic community of environmental scientists at Saint Mary’s University, as well as from the Maritime deaf community and its distinct sign language system of representation. Halifax’s broader cultural and industrial stakeholders’ knowledge base will also be considered. Cultural signs and symbols that represent landscape elements have long contributed to regional language systems, and in particular, indigenous language systems. The intimate “voices” of the land as present in indigenous languages has been studied by numerous scholars, both indigenous and non-indigenous (see “Research Resources”). Conversely, it is also significant to consider that naming practices, including place names and scientific naming practices of flora and fauna, have historically served as systems of establishing ownership, in terms of colonial dominion over “new” lands and the peoples that inhabited them. 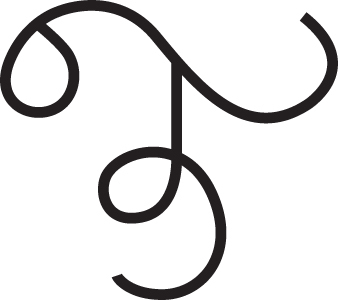 Mi’kmaq symbol for “gold.” Source: AGNS. This research website places the Mi’kmaq sign for “gold” as its introduction for the overall body of research, as a prominent signifier of the cultural, ecological and epistemic aspects of the project. This symbol was brought to my attention by Brittany Hill, BSc Honours student at Saint Mary’s University Halifax, who I am working with on this project, along with Dr Linda Campbell. Brittany has been working for months on the ecotoxicology aspects of the project, supervised by Dr Campbell, towards this bio-art collaboration, as well as towards fulfillment of her thesis. Therefore, this project owes a debt to the work that they have already undertaken together, as well as to the strong research base already established by Linda and her research teams, on Nova Scotia gold mine tailings sites (again, see “Research Resources” tab).